The Kunstverein is the institution for contemporary art in Hamburg and is one of the most famous galleries internationally. 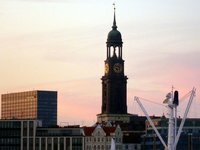 It is located in a central location in downtown Hamburg, on the art mile between the Hamburger Kunsthalle and Deichtorhallen galleries, at the "entrance" to the new port city in the same building complex, the market hall is located. The art club can be rented as empty space in the exhibition-free times. Thus, you can use the fully functional spaces for their customer events or your products a neutral environment present. Thus, they act as a projection screen, on which you can represent their own content. Furthermore there is also the possibility to exclusive events "in the middle of the art". Different formats are possible in consultation with the artistic director of the Kunstverein. These events are certainly a very special experience and give a very own profile the art club as a venue. founded in 1817, the Kunstverein in Hamburg is one of the oldest art associations in Germany. With its permanent exhibition area but without their own collection is its main attention to the presentation, the mediation and the discussion of young and international contemporary art. In its long history many today important artists for the first time issued at the Kunstverein, among them Caspar David Friedrich and Max Beckmann or the early avant-garde with Pablo Picasso and Francis Bacon. In addition to the individual exhibitions group exhibitions as well as accompanying lectures, artist talks and guided tours include our program. The work is supported by the broad civic engagement of its approx. 1800 members. Open Hall with factory-like character, preserves the atmosphere of the original use of market halls. Two open Windows reveal in the urban environment. A mobile dividing wall system allows quick installation without changing the overall look of the room. Classic White Cube without direct sunlight. This room can be used as a lounge or VIP area. The Foyer has a surface area of about 100 square meters and is the central room of the Art Association, which is played with annually changing installations.